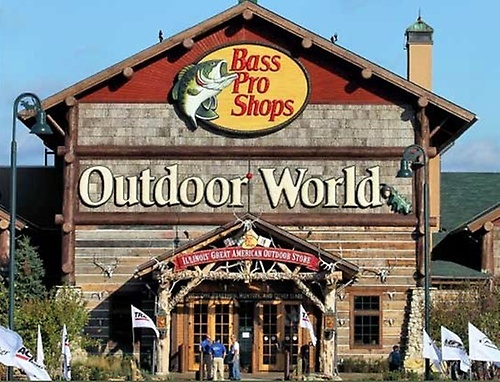 All Bass Pro Shops are known for their visual dynamics; however, our 150,000 sq ft store simply awes the masses from the moment they cross the threshold. In fact, photo ops abound inside and out. Entering our lobby begins your experience with a hunting lodge that holds both state and world record mounts such as the Mel Johnson, record typical buck, boasting both the Pope and Young and the Boone and Crockett awards. 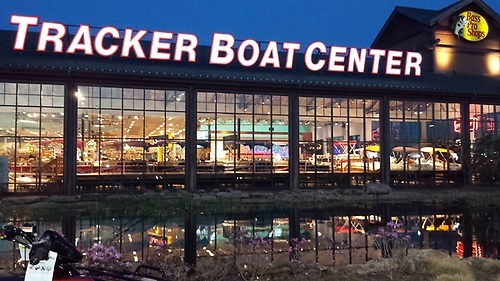 A virtual plethora of mounts, antiques, our massive fireplace and comfortable seating await you there as well. We even have a Caterpillar D2 lifted atop the turnstile pergola! 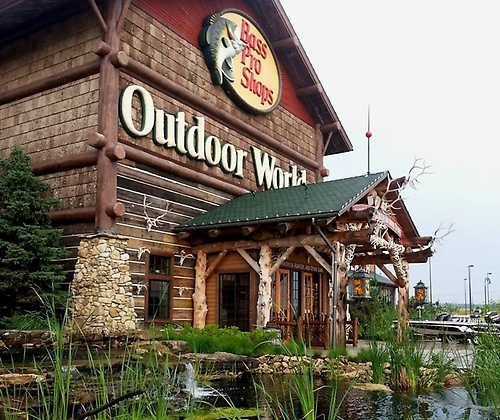 Hunting and fishing enthusiast? We've got you covered! 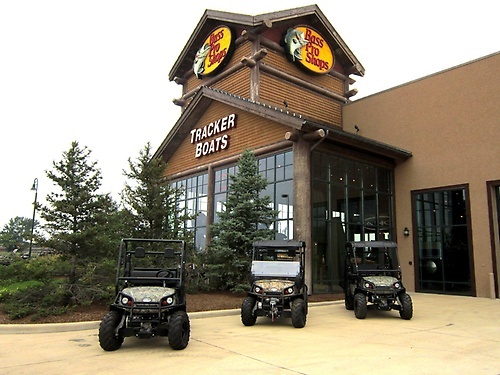 Over 40, 00 SKUs in the fishing dept., Tracker Boats of all sizes, Water-sports equipment; Camping equipment, Gifts include Maui Jim sunglasses and Nature items; Apparel, Footwear and even a Children's Department. General Store with 300 different kinds of Fudge (though not all are available at a given time). Uncle Buck's Fishbowl Restaurant immediately transports you into an underwater adventure with its 500 gallon saltwater aquarium and coral-encrusted wooden hull of a sunken ship. Uncle Buck's Bowling Alley gives you an experience of undersea bowling without having to hold your breath! Our massive 26,000 gallon, fresh-water Aquarium houses a large variety of native fish. Our Fish Feeding demonstrations are sure to bring a smile to your face and a giggle to the youthful among us. We have many special events throughout the year. Make sure to check out our website and Facebook page to learn more about all the great activities.